Atollon specializes in solutions that help Professional Services Management to manage their business operations, keep track of clients, schedules and projects, and provide the best possible customer service. 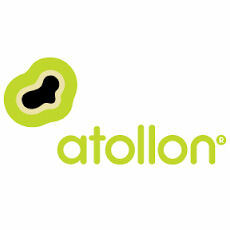 Atollon Lagoon is an end-to-end business management platform for professional services organizations. The platform includes back office and front office modules for project and task management, contact information, shared calendar and scheduling and timesheets and project billing. Lagoon is available in Core, Standard and Professional editions right-sized for any service-oriented business.